I write, I edit, I translate. I read, and travel. But mostly I write. As a journalist, I’ve been writing professionally since the mid-1990s, focusing largely on politics, science, technology and popular culture. I started out on staff at California Journal magazine in Sacramento (a now-defunct political monthly and weekly), moved to CMP’s TechWeb, and then for more than seven years worked at CNET’s News.com. Since going freelance, I’ve written for a number of other publications, including Wired News, MIT’s Technology Review, and Scientific American online, among others. At CNET, I won a number of national and regional journalism awards, including the SPJ’s Sigma Delta Chi prize, the Society of American Business Editors and Writers’ Best in Business award, and the Northern California SPJ’s Excellence in Journalism award. 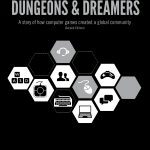 In 2003, with co-author Brad King, I published Dungeons and Dreamers, examining the development of computer-game virtual communities and their influence on the broader culture of technology. A second edition of the book, substantially revised and updated, was published in March 2014 by Carnegie Mellon’s ETC Press. Since 2006, I’ve lived in Berlin, freelancing, slowly learning German, and writing fiction. When people ask me where I’m from, I sometimes say San Francisco, and sometimes Seattle. I miss the mountains and the water, but have loved what Berlin has given me: freedom and time.